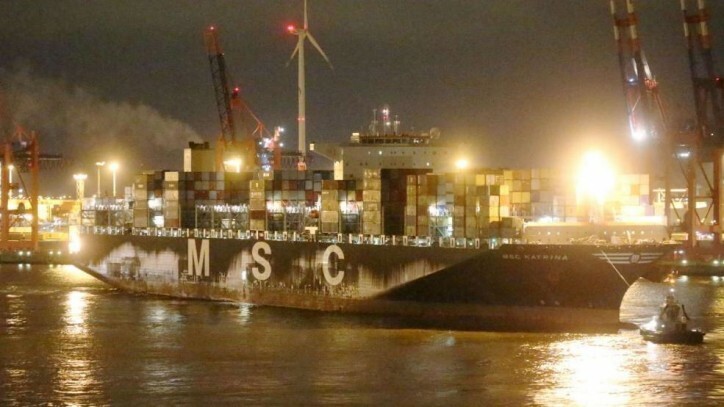 On Saturday night (Nov 21), the 366 meter long, 139,439 dwt container ship MSC Katrina suffered a fire while in the North Sea off the island of Helgoland, Germany. The fire broke out in a container containing charcoal giving off heat and smoke. The crew attempted to contain the fire and was later aided by two firefighting teams from Cuxhaven who were able to extinguish the blaze. The MSC Katrina proceeded to Hamburg where it unloaded the damaged containers. Four firefighters and one doctor were remaining on board as a precaution until the ship has reached Hamburg, all other units were released in the evening. No reports of pollution released.